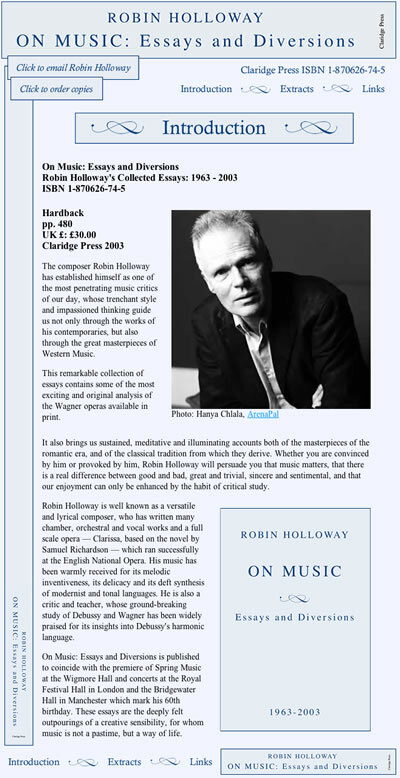 Robin Holloway's music is published by Boosey & Hawkes. Most of the links on the Catalogue page of this site link directly to corresponding pages in the B&H website, where you may find details of instrumentation, first performances, score hire and purchase. 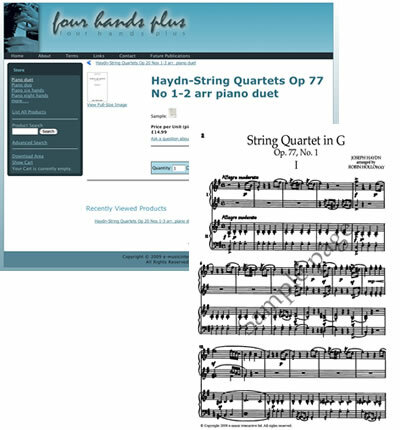 Robin Holloway's transcriptions of Haydn's string quartets for piano duet are being made available for sale at the fourhandsplus.com website. 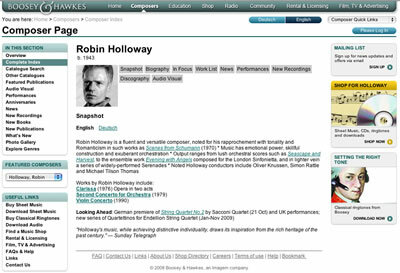 The image on the right links to a facsimile of a website constructed in 2003 to coincide with the launch of Robin Holloway's book On Music: Essays and Diversions. The website includes a full contents list and extracts from several of the essays featured in the book. 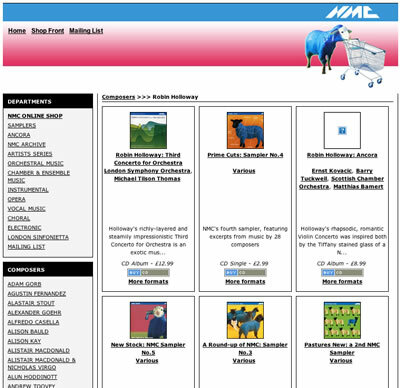 Recordings of several major works by Robin Holloway have been released on the NMC label. See the Catalogue page of this website for links to specific recordings. 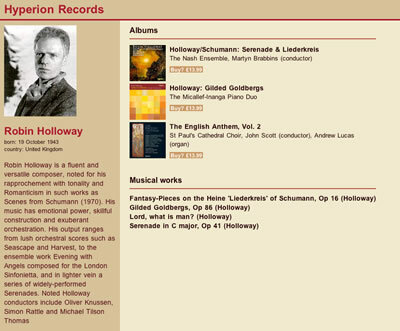 The Hyperion catalogue includes recordings of chamber music and church music by Robin Holloway. See the Catalogue page of this website for links to specific recordings. 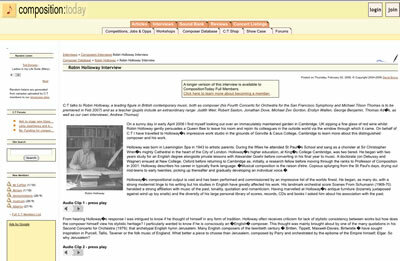 The Composition Today website includes click-to-play audio recordings of a major interview with Robin Holloway.